Milford, NH – The prestigious London National Theatre has recently purchased the Earthworks PM40 PianoMic™. 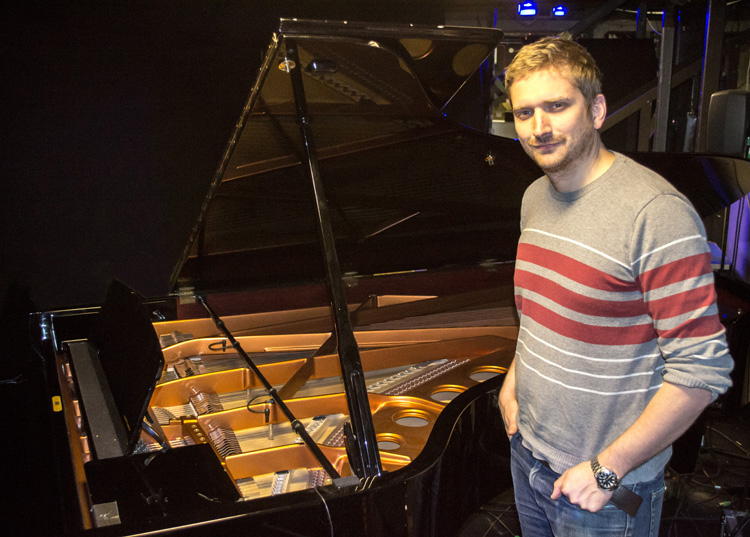 Ed Furguson, the sound manager for the National Theatre and associate sound designer for the musical ‘The Light Princess’ in conjunction with Simon Baker purchased the PM40 after extensive tests as the musical written by singer-songwriter Tori Amos and playwright Samuel Adamson is centered around a grand piano, and in fact Tori’s personal grand piano was used for the production. The Earthworks PM40 is quick and easy to use with a simple, yet ingenious extendable pole which rests inside the grand piano and has miniature omni capsules optimized for grand piano delivering the perfect piano sound, at full stick, half stick or even with the lid closed and without the use of unsightly microphone boom stands. Distributed in the UK by Unity Audio Ltd.